It’s wonderful receiving the rain we did, seeing how quickly planting progress came along, and how quickly corn is popping out of the ground! Being mid-May, it’s time to get our Evapotranspiration (ET) gages out. A reminder to only use distilled water in the gages, make sure to fill up the ceramic top portion of the gage before inserting the stopper, and gently dust off the ceramic top and replace the white membrane and green canvas cover. We recommend replacing those membranes and covers each year so if you need a new one, please let the Natural Resources Districts (NRDs) or me know and we’ll get you a new one! For those of you recording ET information online, please be sure to do so consistently each week to help your neighbors and crop consultants. 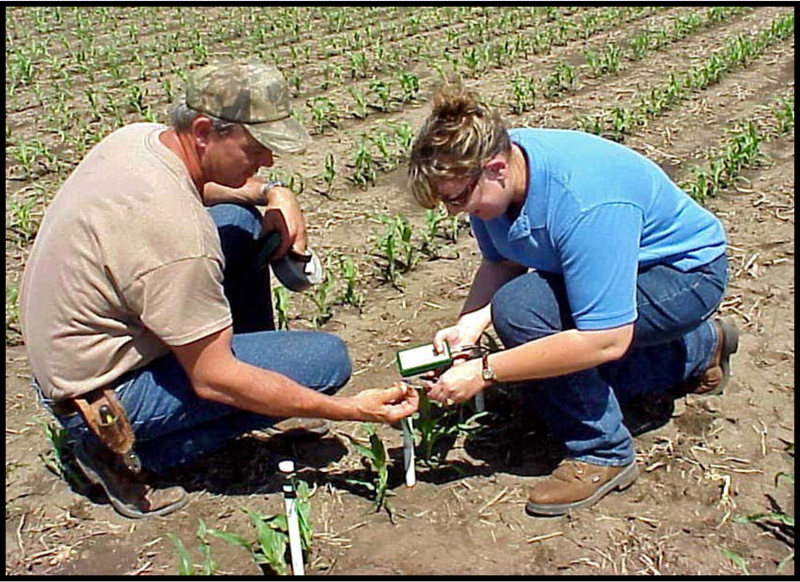 Early after crop emergence is the best time to install watermark sensors. For those of you with watermark sensors, read them to ensure they read 199 kpa (dry). Then “prime” them first by soaking them for 24 hours in water to ensure all the air bubbles have been released. The sensors should have a reading of 10 kpa or below to be considered good. If they read higher than that, either continue soaking them another 24 hours and read them again, or plan that they no longer are reading correctly and replace them with others from the NRDs. Remember after soaking sensors that water moves up into the PVC pipe via capillary action, so be sure to dump the water out of the pipe as well. When installing the sensors, be sure to install them wet, drain excess water, and look for areas that are not compacted, avoid tractor wheel tracks, and look for even spacing of plants. Carefully install without breaking off any plants (thus easier when plants are small!). It’s also important not to install sensors into extremely wet fields. What we have found is that a thin soil layer can cover the sensor when pushing it into the soil of very wet fields. When that soil layer dries, it can provide a reading of 199 saying the sensor is dry when it truly isn’t. If this happens to you, simply remove the sensor, rewet for one minute and re-install. It should be acclimated to field conditions within 48 hours. If you have any questions regarding the installation process, please let the NRDs or your local Extension Educator know. You can also view videos of the installation process and receive additional information to answer your questions. 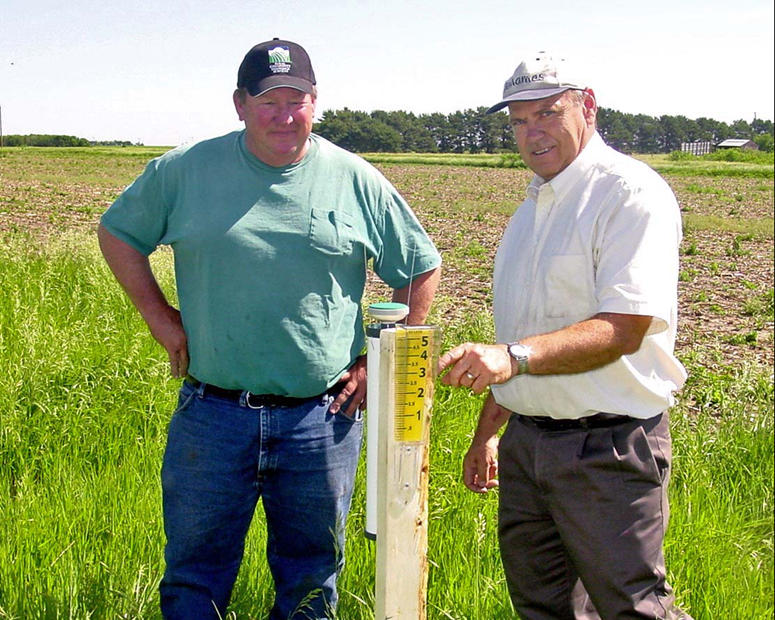 Posted on May 20, 2013, in Crop Updates, Irrigation Scheduling and tagged Agriculture, corn, crop water use, Crops, equipment, ET gages, Extension, farm, farming, Irrigation, Irrigation Scheduling, Nebraska, Plants, research, Soybeans, Water, Watermark Sensors. Bookmark the permalink. Leave a comment.